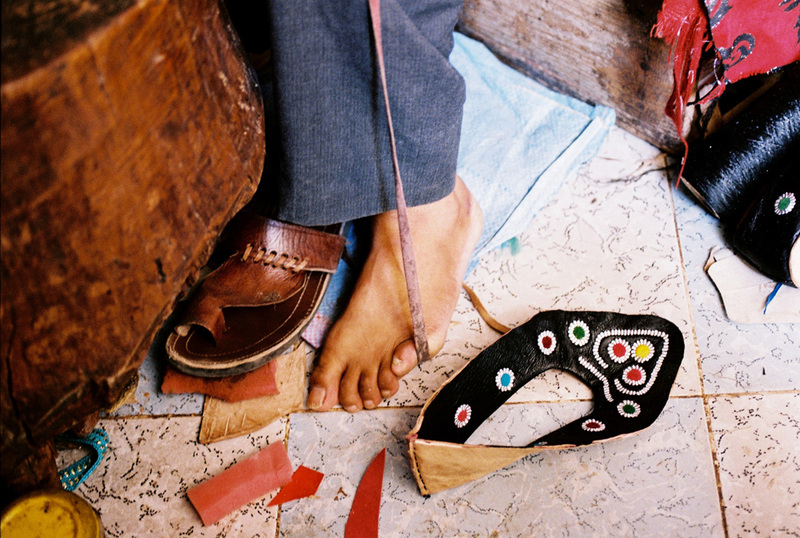 In Said’s family, you get to become shoemaker from generation to generation. Said has been trained by his father and uncles. And it is this knowledge that he hopes to pass on to his own children when he will have any. 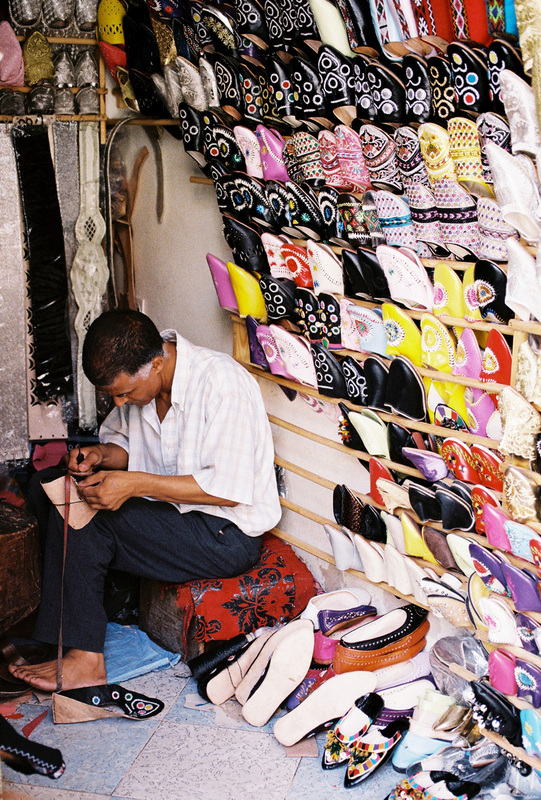 Using his very agile hands, so quick and extremely precise, he has become a master in the making of the traditional moroccan “babouches”. 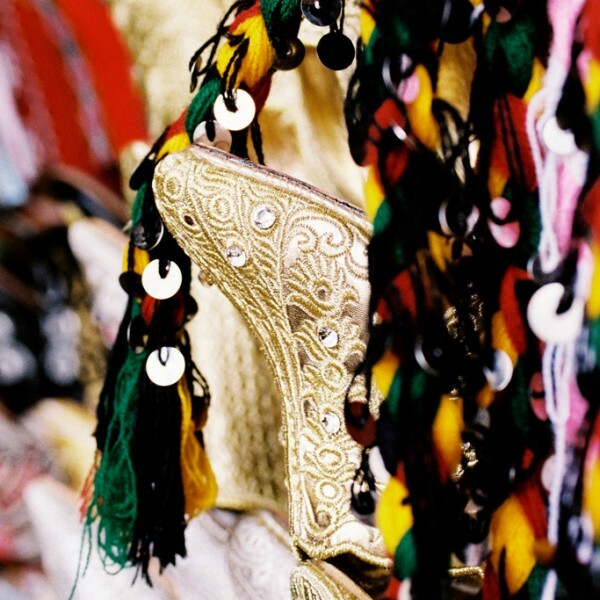 As a kind of slippers, the “babouche” shoes are “the” traditional shoes worn all over the Maghreb area. 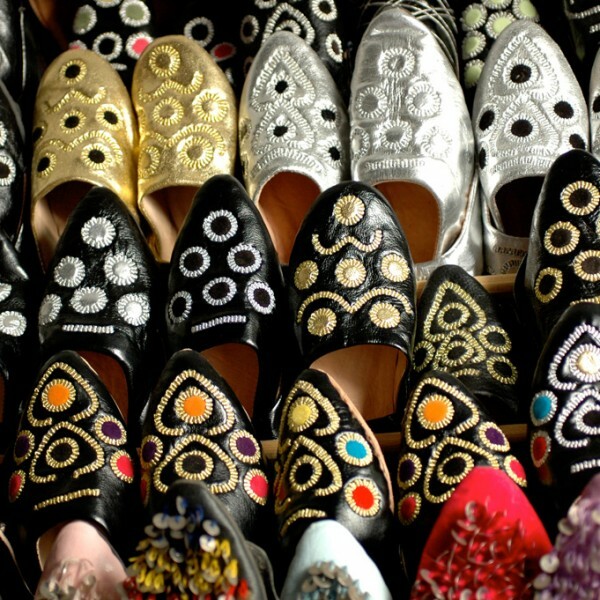 Generally sharp-pointed for men and with a round shape for women, it is commonly worn indoors and outdoors, as much by the urban as the rural population. 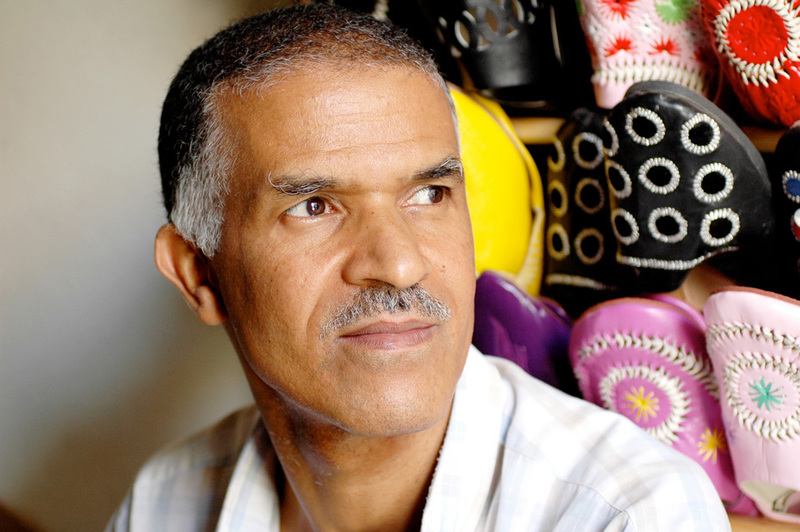 There are several types, the most common in Morocco being a mixed version called “balgha”. 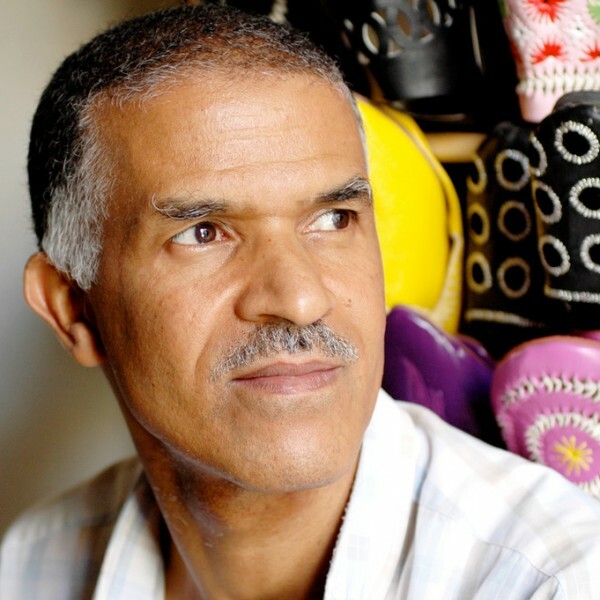 Said is the best shoemaker in the Middle Atlas city of Azrou. 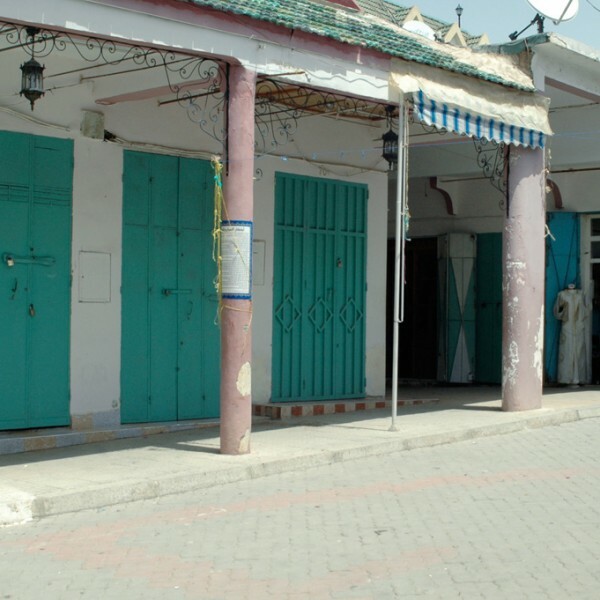 He officiates from his tiny shop which displays all the models he has designed, located in the “kissariat”, the central place built in the twenties, close to the old green tiled mosque where all the leather craftsmen are gathered. 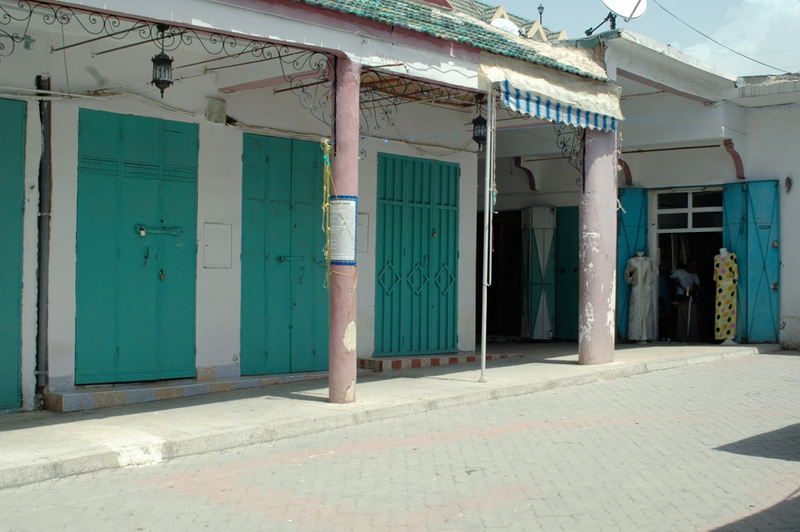 In his shop, he takes orders from his clients and is mostly active in the summer season. 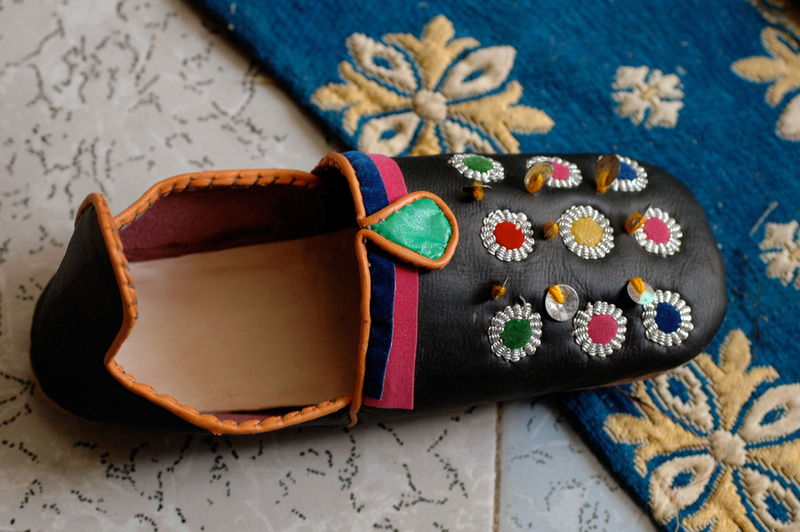 Those slippers are particularly summer and ceremonial products. 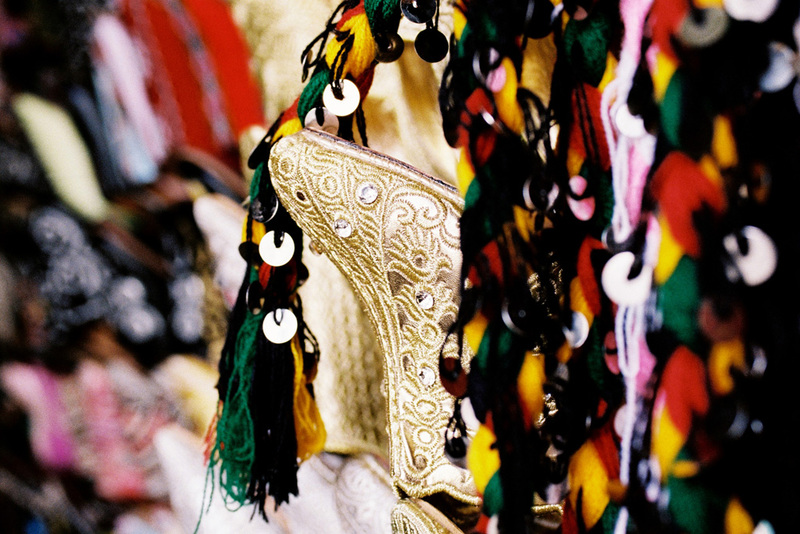 It brings a glamorous touch to the dresses for celebrations and wedding parties. 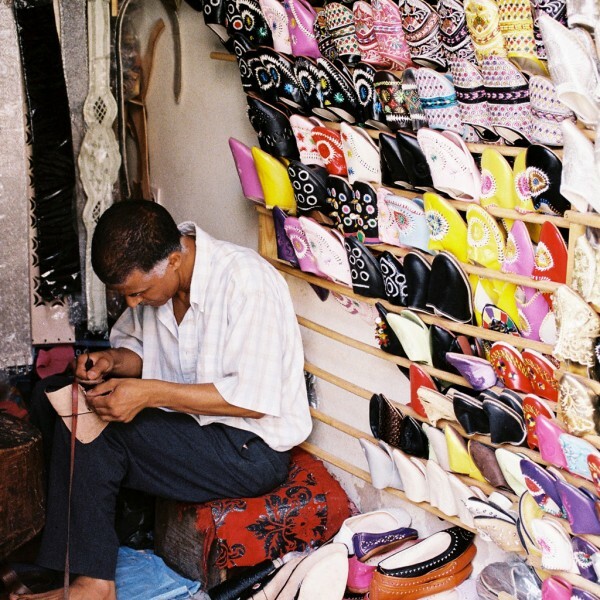 During our conversation, several clients have been visiting him to greet him and place orders. A craftsman colleague of his has also shown up. 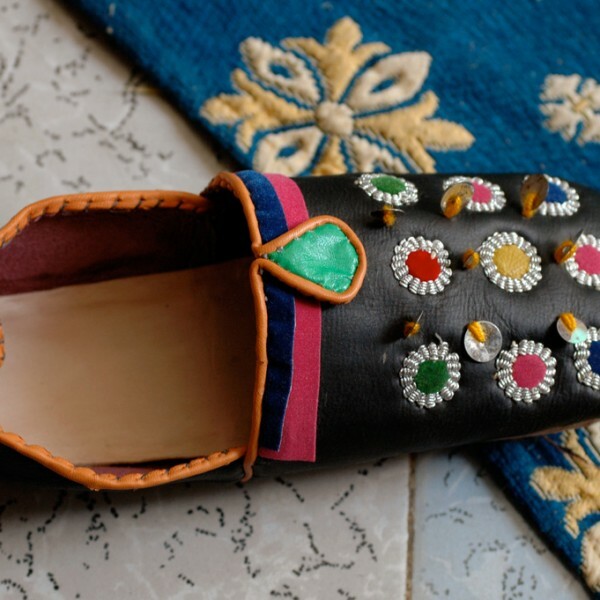 He’s the one providing Said with the upper part of the slipper decorated in the Berber way, with color inserts and small embroidered mirrors. Said has never changed his methods. 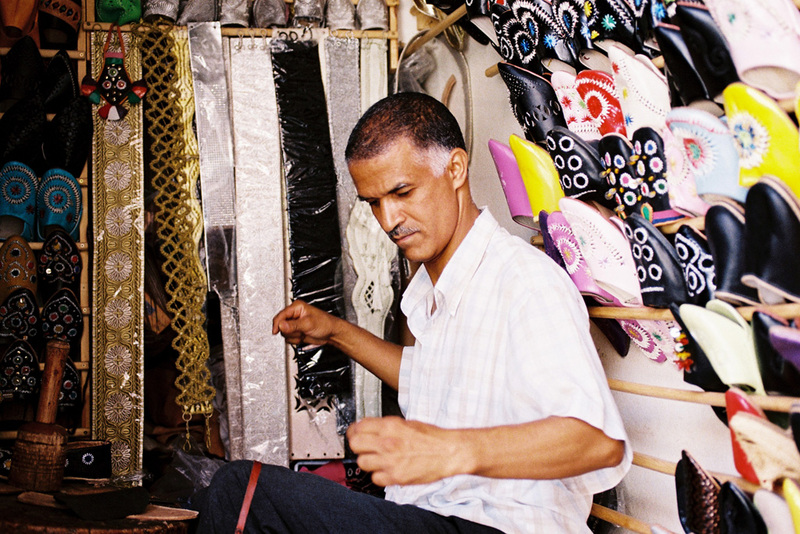 He always prepares his footwear according to tradition with precise quality criterias. 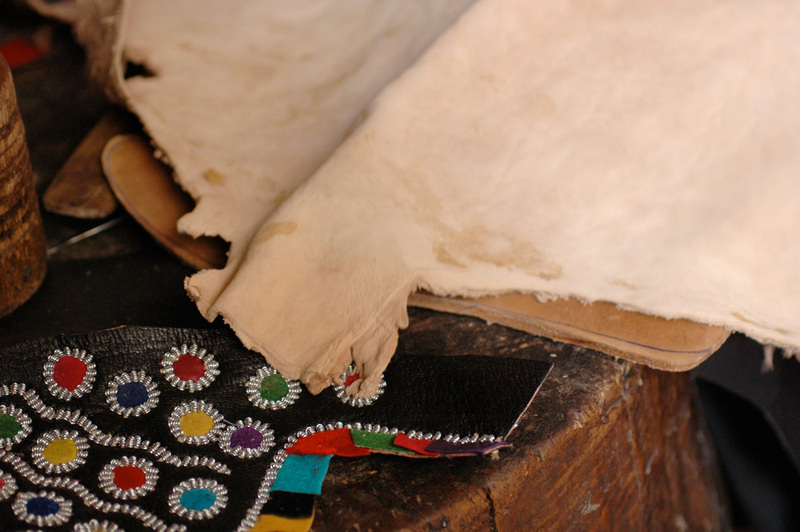 A slipper will use specifically three kinds of leather: goat skin for the outside of the shoe, soft lamb skin for the inside, strong and thick cow skin for the sole. He never uses plastic. Only the styles have evolved over the years. 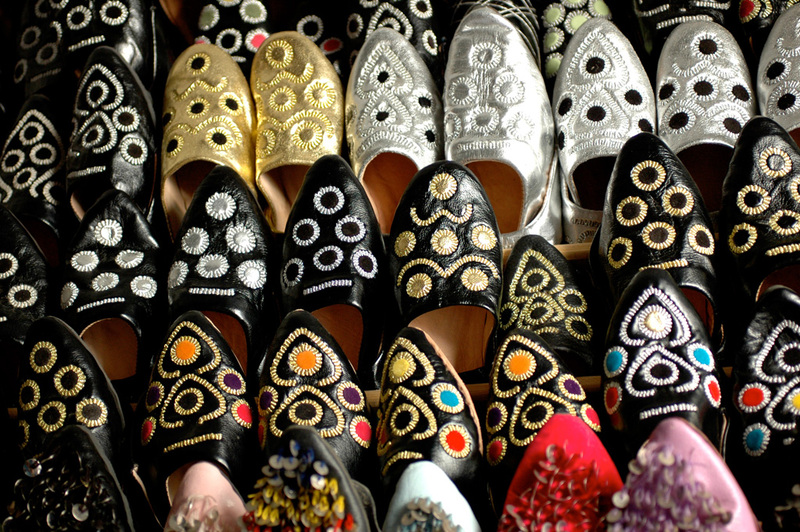 In the way of a Repetto ballet shoe, slippers are sewn upside down and turned backwards once finished. 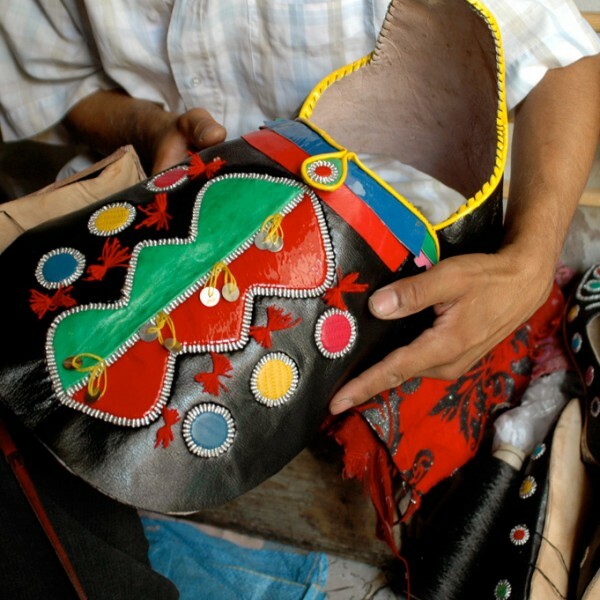 Friendly and communicative, Said has answered my questions while continuing his work on a traditional Azrou’s style leatherpiece. He is a busy man. 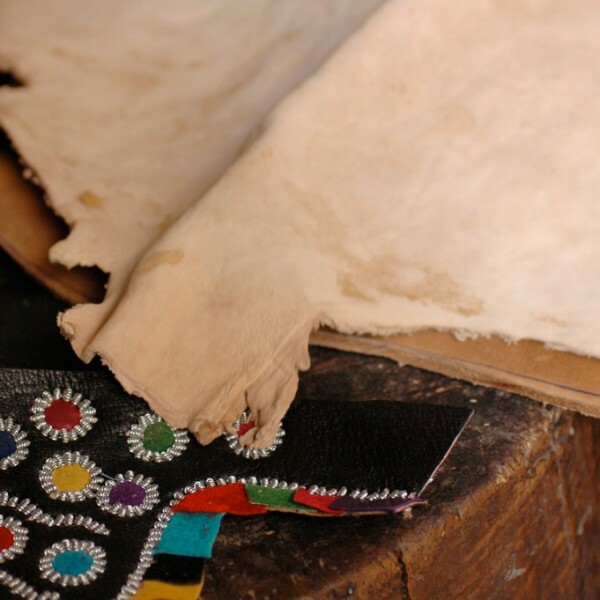 His work is his main interest and when we keep on discussing, he has expressed his concern about finding the best quality leather from Morroco. 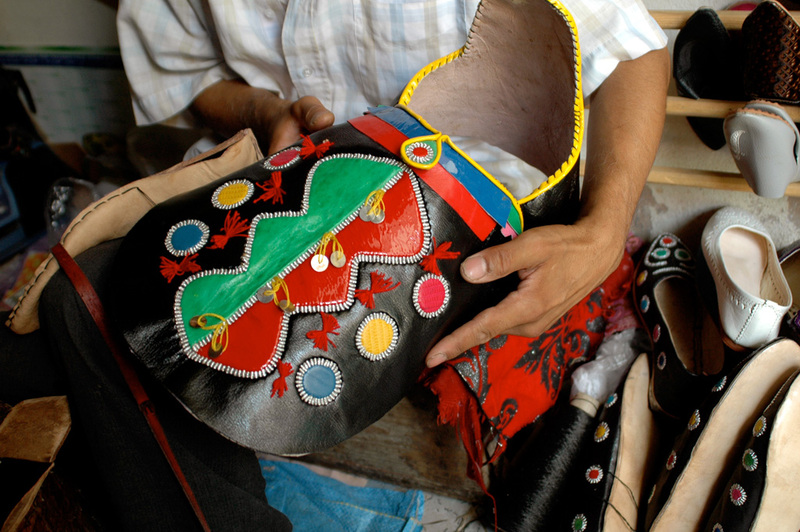 Leather suppliers such as tanners from Khenifra and Fez cities are becoming more and more difficult to find. He is quite aware that he must continuously keep working to cover his needs. He also has appeared very conscious of the necessity to transmit his skills.